A pumpjack sits at dawn in the Permian Basin oil field last January near Midland, Texas. NOTE: The United States Geological Survey (USGS, formerly simply Geological Survey) is a scientific agency of the U.S. government. The scientists of the USGS study the landscape of the U.S., its natural resources, and the natural hazards that threaten it. The organization has four major science disciplines, concerning biology, geography, geology, and hydrology. The USGS is a fact-finding research organization with no regulatory responsibility. The USGS is a bureau of the United States Department of the Interior; it is that department’s sole scientific agency. The USGS employs approximately 8,670 people and is headquartered in Reston, Virginia. 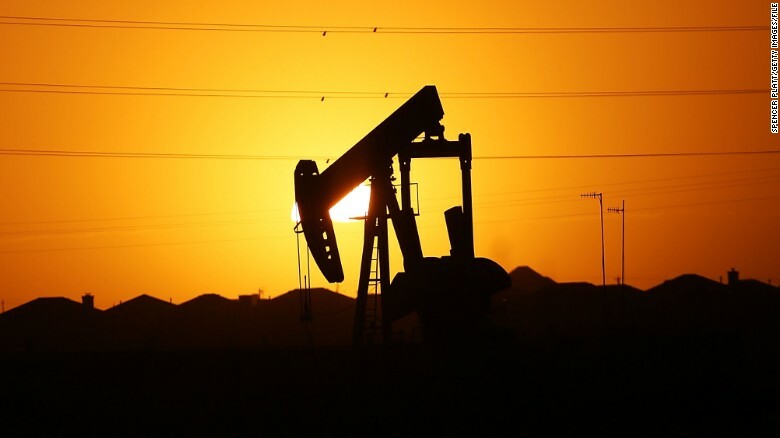 (by David Warren, Associated Press) – A vast field of shale rock in West Texas could yield 20 billion barrels of oil, making it the largest source of shale oil the U.S. Geological Survey has ever assessed, agency officials said. Geologists explain that oil recovered from shale rock is considered unconventional compared to other oil found in the ground because extracting it requires advanced drilling or recovery methods, such as hydraulic fracturing. The amount of oil in the Wolfcamp shale formation is nearly three times the amount of petroleum products used by the entire United States in a year. 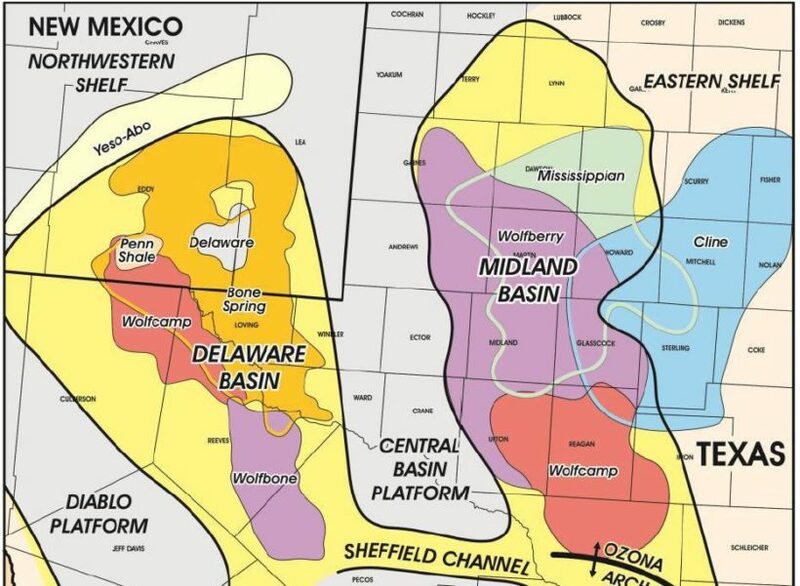 The Wolfcamp Shale is part of the sweeping and energy-rich Permian Basin, which includes a series of basins and other geologic formations in West Texas and southern New Mexico. It’s one of the most productive oil and gas regions in the U.S.
Ken Medlock, director of an energy-studies program at Rice University in Houston, said it seems “likely that we’re seeing the birth of a new Permian Basin.” The advent of horizontal drilling, hydraulic fracturing and other advancements will allow for the removal of shale oil at a volume that will make the basin “the dominant onshore platform for oil production,” he said. Schenk said it’s been known for years that the region could yield new bountiful oil production, but it took the U.S. Geological Survey time to assess the Wolfcamp Shale and estimate the volume of that production. “We think the potential is there for the future, and it’s not going to be realized overnight,” he said. The release issued by the Geological Survey on Tuesday hints at the resurgence the oil and gas industry likely will see in Texas in the coming years following a downturn during which energy prices tumbled and tens of thousands of jobs were lost. “The fact that this is the largest assessment of (unconventional) oil we have ever done just goes to show that, even in areas that have produced billions of barrels of oil, there is still the potential to find billions more,” Walter Guidroz, coordinator of the agency’s energy resources program, said in the release. Medlock explains that there are multiple shales that interlock, with Wolfcamp being just one, so it’s expected that future drilling will unlock other oil fields that will be comparable to this week’s assessment by the Geological Survey. There are a number of factors that will determine how quickly oil is extracted from the Wolfcamp Shale, he said, but it will likely take years before any significant amount is gathered. The rate of production largely depends on technology, the cost to drill and oil prices, he said. “The revival of the Permian Basin is going to last a couple of decades,” he said. Reprinted here for educational purposes only. May not be reproduced on other websites without permission from Associated Press. Visit the website at ap .com. 1. What is the U.S. Geological Survey? 2. What is the Wolfcamp Shale geologic formation? Be specific. 3. How does Wolfcamp Shale compare to the amount of shale oil found in the Bakken and Three Forks formations in the Dakotas and Montana? 4. What is shale oil? 5. What method is used to recover (extract) shale oil? 6. Why has it taken years for the Wolfcamp Shale formation to be recognized? 7. Re-read para. 13-14. List the various benefits the Wolfcamp Shale will provide to people in the area as well as to Americans in general. 8. What is the significance of the Geological Survey’s assessment of the Wolfcamp Shale? 9. What factors will determine how quickly oil is extracted form the Wolfcamp Shale? 10. This is an important issue for all Americans to understand. President Obama and other liberal Democrats oppose fracking because of environmental concerns. They believe the environment will be harmed by fracking, as well as the use of fossil fuels (oil, gas, coal) to heat our homes, power our cars and provide electricity. They support “renewable energy” (solar, wind, water) only. Conservatives and most Republicans say studies show that fracking and the use fossil fuels do not harm our environment, They believe providing affordable fuel and power for all Americans is important; also, renewable energy can only provide a very small amount of our energy needs. a) Watch the video on fracking under “Resources” below. What do you think? Do the benefits outweigh the concerns? Are the concerns reasonable? b) Ask a parent to read this article and the information about fracking. Does he/she support fracking in the U.S.? Why or why not? 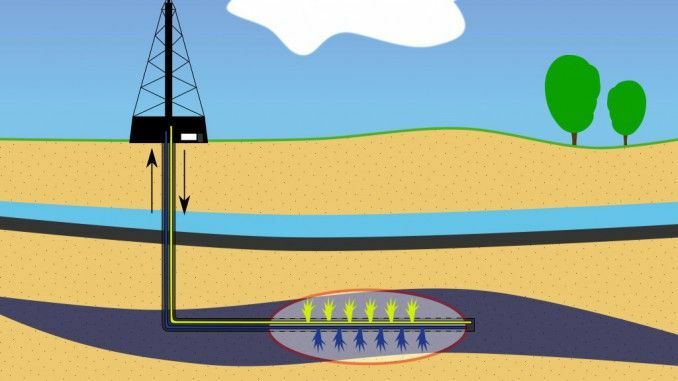 In the last five years, technological advances have been made hydraulic fracturing, a drilling method that is coupled with directional drilling to access underground reservoirs of oil and gas. Despite this important stride toward future U.S. energy security, hydraulic fracturing has come under attack. As the newest [focus] of fossil fuel foes, hydraulic fracturing was notably featured in the 2010 movie Gasland, which dramatized the allegation that hydraulic fracturing had been the cause of groundwater contamination. Understandably, these reports have caused much public consternation, and have prompted both regulators and legislators to contemplate whether hydraulic fracturing should be subject to additional federal regulation. But are they accurate? While the controversy over hydraulic fracturing is new, hydraulic fracturing itself is not. First used in 1947, hydraulic fracturing has been employed in more than a million wells to extract more than 7 billion barrels of oil and 600 trillion feet of natural gas from deep underground shale formations. Geologists have long known that shale rock formations contain large amounts of natural gas and oil, but the fossil fuel resources were trapped in layers of rock and could not easily be extracted. Two studies conducted by the Environmental Protection Agency (EPA) and the Ground Water Protection Council (GWPC) – the national association of state ground water and underground injection agencies whose mission is to promote the protection and conservation of ground water – found that there have been no confirmed incidents of groundwater contamination from hydraulic fracturing. This is particularly noteworthy in consideration of the fact that approximately one million wells have been hydraulically fractured in the United States.